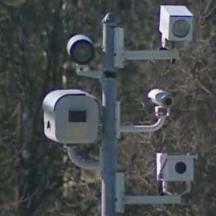 Montgomery County has produced records of dozens of erroneous speed camera errors which they had previously claimed to have no records of, months after our original request for the documents. A public records request was originally placed with Montgomery County on June 22 for a number of documents pertaining to speed camera errors and voided citations. While Montgomery County produced some of the records on July 30 of this year --- which was not within the 30 day time period allowable by state law -- the disclosure did not include records of voided citations during the requested time period. We repeated our request to the county on August 3rd, pointing out that we has requested records of voided citations and that this was not included. On August 21, the county responded with a few examples of correspondence about a small number of citations which had been voided by the county's “Local Designee”. However we were aware that this was only a small subset of the erroneous citations that had been issued. In the county's August disclosure they stated “Montgomery County Does Not Keep Track of administratively voided citations that were voided due to the discretion of the Montgomery County Service Representative”. We responded that this was impossible for a number of reasons, not the least of which because this would be a violation of a statutory requirement to provide a report of the number of citations voided due to errors to the state, not to mention the fact that this would fly in the face of everything we knew about how an information technology system of the sort that manages their citations would normally be run. Finally, in a letter dated September 28th (three months after our original request), Montgomery County produced additional records that had been excluded from the August disclosure, proving that the prior disclosures were in fact incomplete. The document provided showed that the largest number of voided citations were the result of batches of voids due labeled as "Co Employee Error". One batch of citations from a camera at 1000 Block of Quince Orchard Road on January 31, 2015 -- for which no specific cause of the error was cited -- were responsible for 35 erroneous citations. Most of these citations were voided in February, however two of these were not voided until September 24.... which is after The Maryland Drivers Alliance had requested the information about voided citations for the third time. Likewise, another batch of citations which we previously reported on, was issued from a camera on 10700 Block of River Road between March 19 and March 21. Again we note that while most of these citations were voided in April, two of these were not voided until August 11... after we had asked for records about erroneous citations at this specific location for a second time. It is our opinion that those particular citations might not have been voided had The Maryland Drivers Alliance not insisted on access to these records. An amendment to state law created a position called the "Local Designee" who is tasked with reviewing complaints about citations and which was claimed by proponents of the change who support speed cameras to be an "ombudsman" that would void erroneous citations. Of the voided citations which were obvious enough that the county's program could not deny their existence, less than nine percent of those in the report were actually voided by the "ombudsman". The list we were provided showed that the Local Designee acknowledged only 11 errors. 20 of the acknowledged errors were listed as being the result of either an “ERRONEOUS—VENDOR” (meaning that it was actually the speed camera contractor who voided them). Montgomery County's "ombudsman" is actually the deputy Director of the Traffic Division, an individual who is the second in command to Captain Tom Didone (head of the speed camera program). Montgomery County has disavowed the use of the term "ombudsman" to describe the local designee, in writing, several times, despite having used that term while testifying to the legislature for the creation of this role as a way of avoiding stronger measures such as audits and requiring nationally recognized testing standards for equipment that were supported by other lawmakers. The county did receive additional complaints claiming errors, and other individuals have disputed citations in court, however the county only confirmed the existence of those listed here. In particular, the only type of error which the local designee acknowledged the existence of were those where the incorrect vehicle was cited. In one case that we previously reported on, a motorist complained about a citation to the Local Designee who stated that the citation was valid, however in fact that particular citation had already been identified as being due to a “processing error” where the device was improperly configured, and the Local Designee had not detected that error. The Maryland Drivers Alliance submitted a question to the local designee regarding how this was possible, but the Local Designee never responded to that question after several months and several inquiries from us. State law REQUIRES the Local Designee to provide a written response to questions and concerns, however the Local Designee has yet to provide responses to these questions after several months. The Maryland Drivers Alliance submitted a complaint about this lack of response from the Local Designee to Montgomery County, which was also not responded to. Even the data provided by the County in this disclosure contains apparent errors. For example, one citation was listed as being voided on 10/21/2015.... weeks after the date of the disclosure. Given previous incomplete disclosures, we have no way of knowing whether this is the complete set of erroneous citations the county. State law specifically says that any citations voided by a court are not considered "errors" -- giving the county and their vendor a monopoly over the ability to decide what constitutes an error and what is not. For example, in 2009-2009, Montgomery County systematically issued many citations on days when there was no record of legally required calibration tests being performed and when operators for the equipment were not on duty, but these citations were not voided or refunded. If you have received a citation you believe may be an error, or if you have been notified that a citation was voided due to an error, please Contact the Maryland Drivers Alliance.